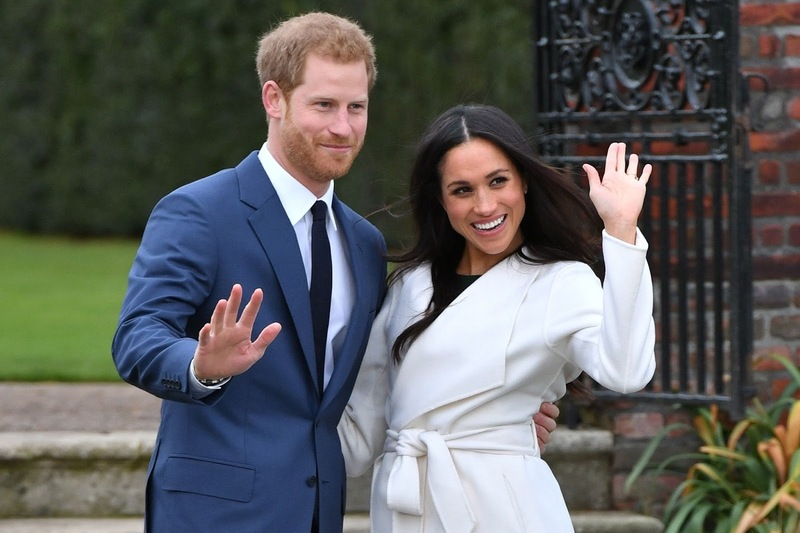 Unless you’ve been living under a rock you know that Prince Harry and Meghan Markle announced their next-year nuptial plans recently, and I am thrilled to pieces about it! I really can’t think of a couple who seem happier or more perfect for each other than these two …unless of course you count me and Freddie!…the other match that was truly made in heaven! Of course, the wedding that Meghan and Harry have, will be very different to the one that I had. For starters… there was no memorabilia to commemorate mine! That’s a tradition that’s been going since Queen Victoria married Prince Albert in 1840, and since 1993 all official royal souvenirs have been made by the Royal Collection Trust charity. Omg I can’t believe I have shown you this picture lol! This is me on my wedding day! 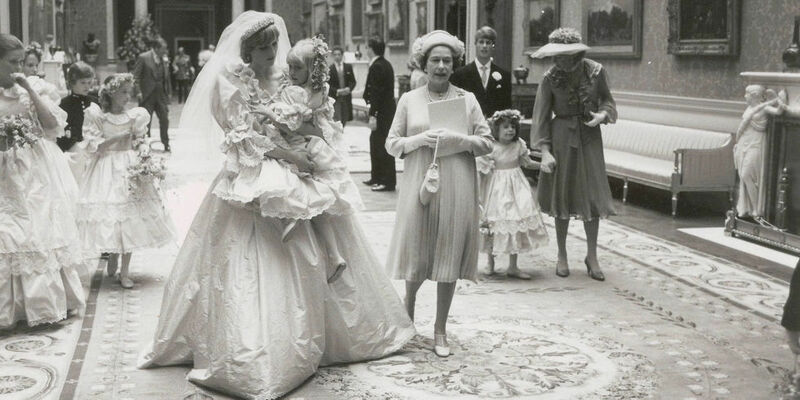 with my Best Friend Carol…I actually had a dress similar to Princess Diana’s and it cost £800 back in 1987! ssshh! Peach was very fashionable back then! I’m sure a lot of other chains will release their own souvenirs, (like Cath Kidston I can’t wait!) but I’ll also be going for the real deal too! Other big events like the Queen’s Jubilee also get special china, and the births of George and Charlotte were marked with chinaware too. 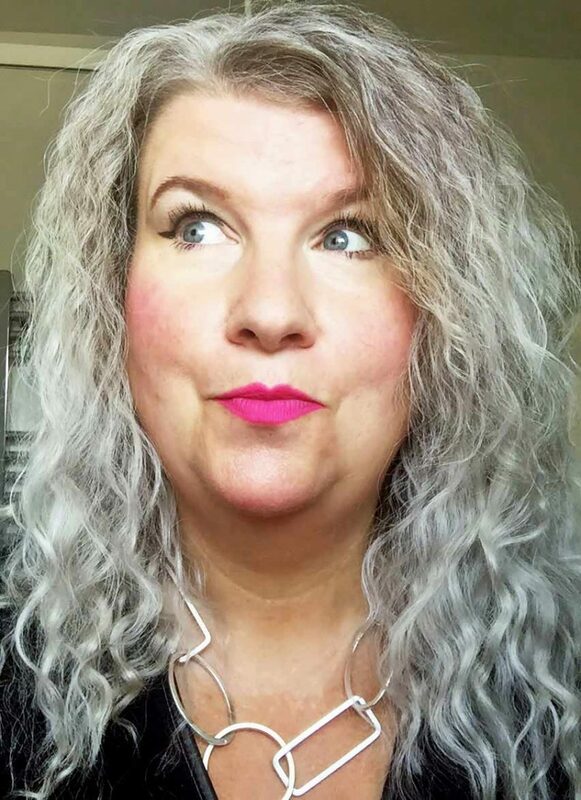 I don’t know if they’ll do that with Harry and Meghan’s babies, gorgeous as they will be … but I sure hope so! 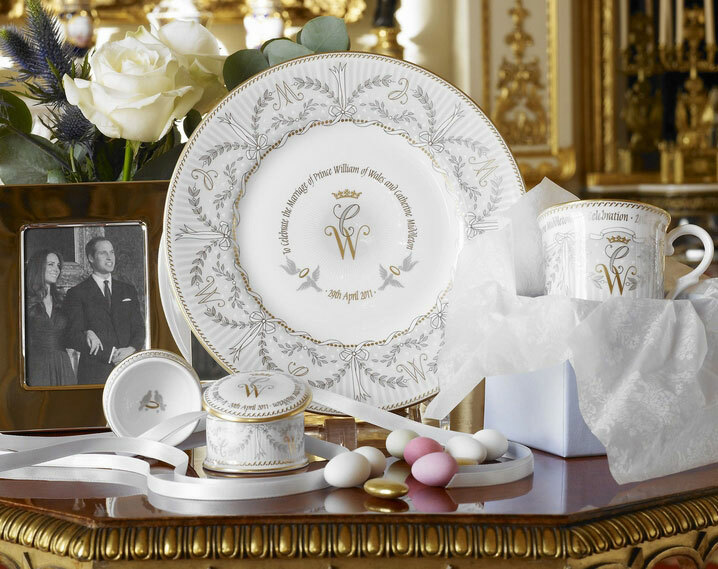 Their wedding china is sure to be gorgeous though, and all their memorabilia is sure to be so much nicer than the unofficial mock-ups we’re seeing already! 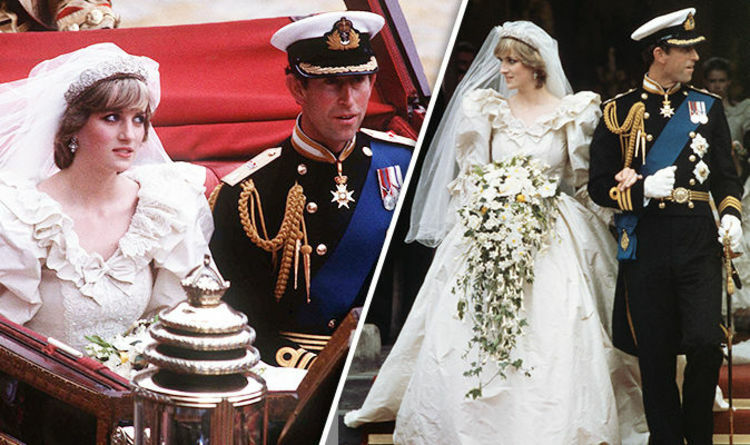 All this has put me in a nostalgic mood, so I looked at the keepsakes from Harry’s parents’ and brother’s wedding. This fairy tale was marked in 1981 with thimbles, plates, mugs and a lot of other fine British chinaware. How young they were! Especially her!…And so very beautiful she was, just as radiant in her gown on the big day itself. 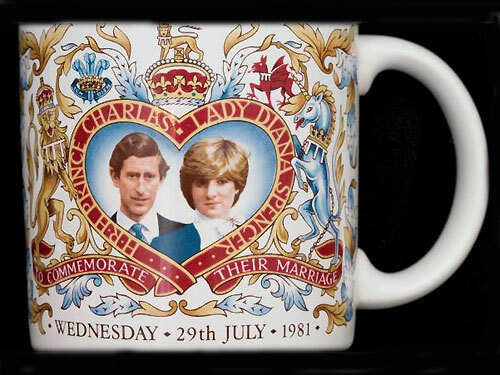 There are quite a few versions of Charles and Diana memorabilia, since they were married before the Royal Collection trust took over. None of them are worth that much, although to a Royalist they are priceless! ‘Big Up Blighty’! Something all the keepsakes have in common is that the Prince and his Bride look quite serious… Did they know what was coming even then? Of course they didn’t, but Meghan and Harry will probably go for something a little less stiff and formal. They are a modern couple, after all. William and Kate have always gotten to do things a bit differently, a bit more their own way, while still sticking to traditions. That’s exactly what they did with their souvenir wedding china when they got married in 2011. They personally approved it all, and you can see for yourself what good taste they have! Fine details, pastel blue and white; it all looks Divine! I’m guessing Prince Harry and Meghan will go for something similar, but with their own design spin. They’re both so stylish, so I really hope they also get to pre-approve the official range. I’m definitely going to be checking out the china, but I’ll be celebrating in lots of other ways, leading up too and on the big day! But I’ll be blogging about all of that nearer the time! What are you thinking of doing for the Special Day? Previous Post Modern Victorian Style…So Chic!